We're hassle-free to get to, and home again! 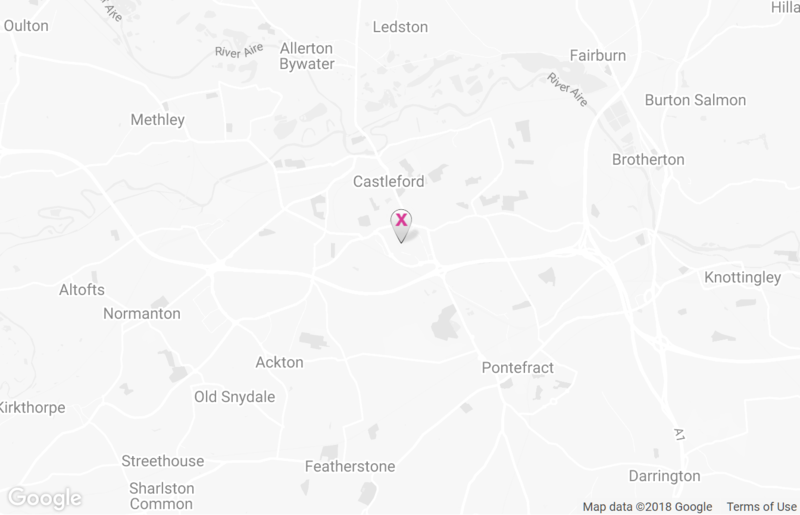 We're based in Castleford, West Yorkshire. Just off Junction 32 of the M62. Leave the M62 at J32 and follow the Xscape / Outlet Village signs. At the main roundabout directly in front of the Centre, take the 2nd exit onto Whistler Drive for the Xscape Overflow Car Park or 4th exit for our Main Car Park. We're a popular place during weekends and holidays. Make parking a doddle by using our Overflow Car Park. Postcode WF10 4PR. We have plenty of Disabled and Parent & Toddler bays in our Main Car Park. We monitor the car parks regularly for the benefit of our visitors. Misuse of bays, parking on grass verges and park and ride is not permitted. Using the Glasshoughton Train Station? Please use the station's dedicated car park, located on Whistler Drive. Postcode WF10 4PR. At J42 take the M62 Eastbound (signposted Hull and Pontefract). Exit M62 at J32 and stay in the left hand lane and follow the signs for Xscape/Outlet Village. Take the M62 Westbound (signposted Manchester and Leeds) - you should see our Centre in the distance - you can't miss us! Leave the M62 at J32 and follow the signs for Xscape/Outlet Village. There's a dedicated rail station at Xscape Yorkshire called Glasshoughton Station with trains running regularly on the Pontefract Line from Leeds - Knottingley/Goole. You can also catch a train to Castleford rail station and take a 5-10 minute taxi or bus ride on services 134, 183 or 411 from the nearby Castleford bus station to Xscape Yorkshire. Visit wymetro.com , call MetroLine 0113 245 7676 or National Rail Enquiries 03457 48 49 50 for details. We provide a bike rack at the front of the building. If you need a decent lock, our friends at Evans Cycles can help you out. We have dedicated Coach Parking Bays located to the left side of the Centre. On approaching the roundabout directly in front of the Centre, take the third exit signposted Xscape. Once you've passed the Premier Inn on your left and driven under the Footbridge, you'll see Xscape Coach Parking signposted on your right. At the Coach Park barrier, press the intercom button for access.